Welcome to Merlyn’s Music Studio located in Federal Way, Washington, specializing in teaching private piano lessons, voice lessons, and acting lessons. I am a professional musician with over 25 years of piano accompanying and performance experience. I am a dedicated musician and educator that is passionate about bringing out excellence in my performances and my students musical education. Why study music at Merlyn’s Music Studio? Each student is provided a comprehensive music education that is based on the National Music Standards of the National Association for Music Education (NAfME). Lessons are catered to each individual students needs and goals from a professional musician and a certified music educator. Piano playing and vocal technique. Acting and musical theatre training. Lessons are catered to each individual’s needs and desires. Focused on the style of music you wish to study. Prepare for performances, adjudications, competitions, scholarship preparation and all audition types. Merlyn’s Music Studio’s approach to teaching focuses on how each student learns to give them the best experience possible. Students are given skills to perform to their highest potential. I strive to make each lesson fun and engaging. Please email me at music4u2@comcast.net or call me at 253-347-8107 to inquire about openings in the studio. I would be happy to talk with you about your personal goals as a musician, actor and performer. 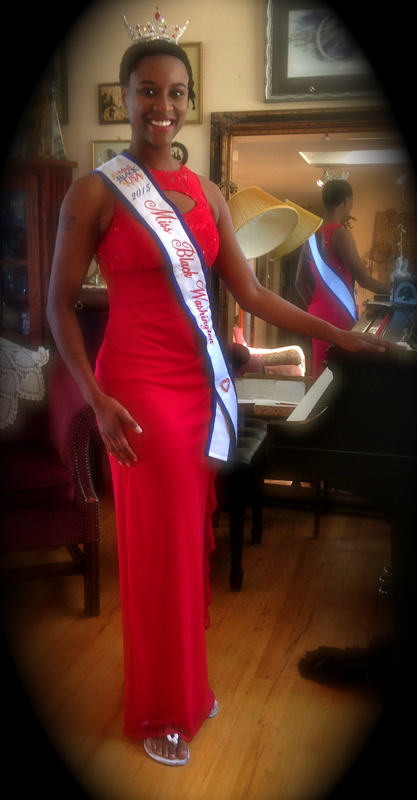 Merlyn's Music Studio is proud to help prepare Miss Black Washington, De'Vaughnn Williams for the 2016 Miss Black USA Pageant in August.